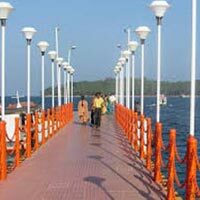 As per the Flight Timings check out from the Hotel & proceed for the Airport for flight to Port Blair. Arrive in Port Blair and transfer to respective hotel and rest till afternoon. In the afternoon proceed to Carbyn’s cove beach followed by Cellular jail in the evening visit for light and sound show. Overnight stay in Hotel in Port Blair. After breakfast, start the voyage begins in a boat towards Ross Island – the erstwhile capital of Port Blair during the British Régimes. The Island presently houses the ruins of old building like Chief Commissioner’s house, Government houses, Church, Bakery, Press, Swimming pool, etc. and then for an enthralling journey to North Bay Island (Coral Island) offering exotic coral and underwater marine life which can be viewed through Glass Bottom Boats . After this we can visit in Harbour Cruise (Viper Island) Overnight stay in Hotel in Port Blair. 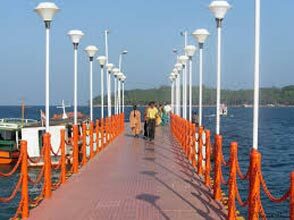 After breakfast, leisurely start your city tour of Port Blair ,this tour includes visit to Chatham Saw mill – considered to be Asia`s biggest and oldest , Samudrika–Naval Marine Museum , Anthropological Museum – Showcasing the tribal life of Andaman and Nicobar islands , Fisheries museum –showcasing the rich marine life of Andaman island and finally stop at Government run Sagarika shopping complex to shop the local made handicraft specially the wood , bamboo and seashells.